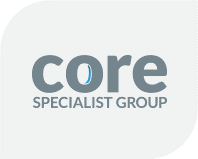 When the lovely Jo Lawless from Core Specialist Group contacted me last year to say she was at the ‘pointy end’ of a website project and could I help with the copywriting, I was happy to oblige. After all, website copywriting for Gold Coast businesses is what we do best! Jo is the business manager for a team of dedicated health professionals operating from John Flynn Private Hospital on the Gold Coast. Each of the surgeons was having their own website built, as well as the central website for the group. From the first phone call it was established that this was a ‘big project’ required within a ‘tight timeframe’. As Words and the Bees promises to make life easier for our clients, this was something I was more than happy to help with. What I didn’t realise at this point was that the initial project involved 172 pages of website copywriting, all written from scratch, with a further 11 pages added as the project developed. Hats off to Jo who had been coordinating these mammoth website projects for well over a year by the time I came on board. For someone whose area of expertise isn’t website development, dealing with everything that comes with creating websites ON TOP of full-time normal duties is no mean feat. Fast forward a few weeks later once the project was complete and I was super happy with how these websites turned out. A true testament to how well everyone involved worked together to create sites that define the specialists and their offerings to a tee. I started Words and the Bees almost three years ago so I could support people who were making a difference to the lives of others. When I get phone calls like the one received from Jo Lawless last year, I know I’m exactly where I’m meant to be; and I couldn’t be more thankful. Website design and development by Online Medical, copywriting by Words and the Bees. “From the first phone call, I found Jo to have a fantastic sense of urgency to my requirements. She was dedicated to assisting me with the daunting task of providing unique content to enable us to create multiple health related websites on a very tight timeframe. Jo was a pleasure to deal with throughout the course of our association and I look forward to continuing our relationship with future projects. I would highly recommend using the services of Words and the Bees.